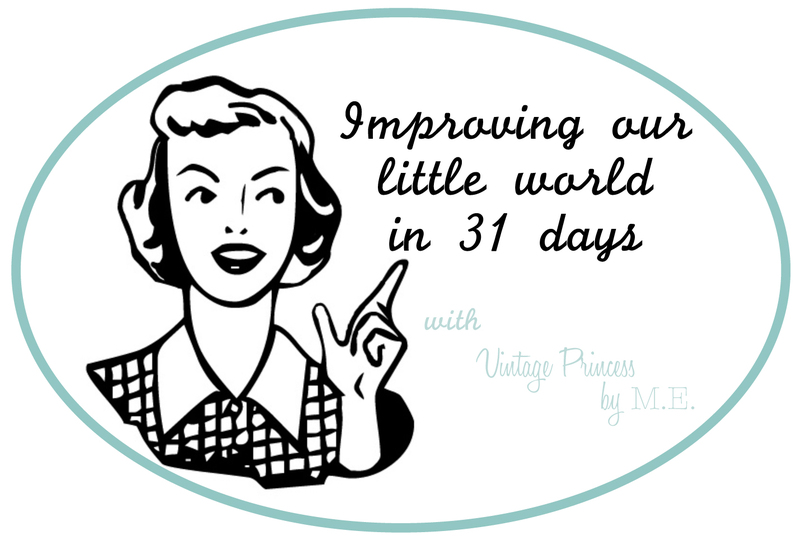 Today I finally dusted off my sewing machine. I have not touched it since the day before my first craft show December 3rd, almost a month. There are many sewing projects swimming around in my head and sketched out in many sketch books that I want to get to, so it was time to dust off the machine and go for it. Does this happen to you, you have a lovely sketch book in your handbag and it gets destroyed by the endless kiddo items, the lost fruit snack, leaking juice and other odd ball things that end up in your handbag? So many sketchbooks have been ruined in my world. 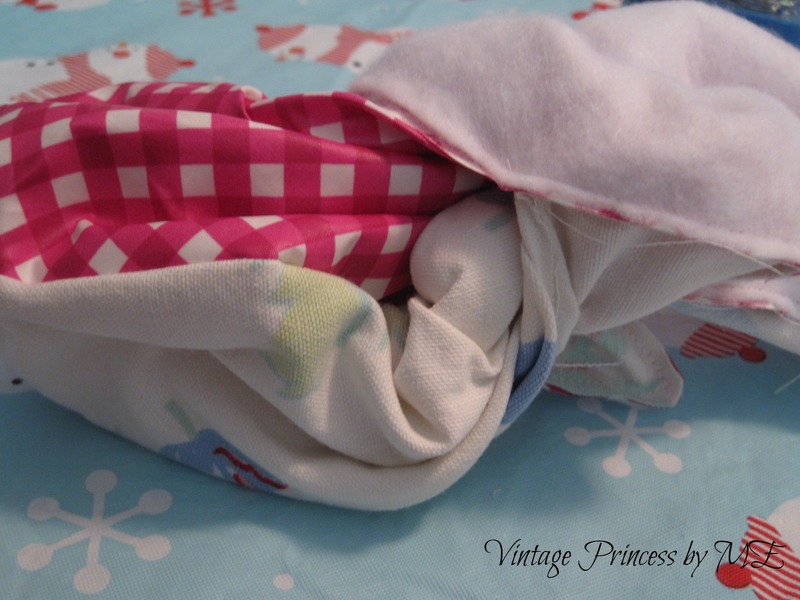 I thought maybe, just maybe, a fabric envelope like pocket could be the answer. Here is what I came up with- if you make one yourself I would love to see what you made! 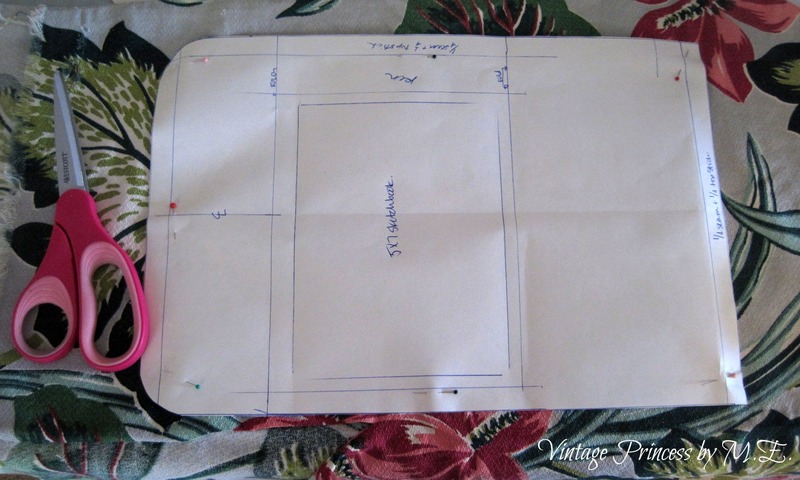 Oilcloth 12″ x 16″ I used this as the lining, you could you this as the outside and fabric as lining if you choose. Sewing machine, scissors, pins, etc. 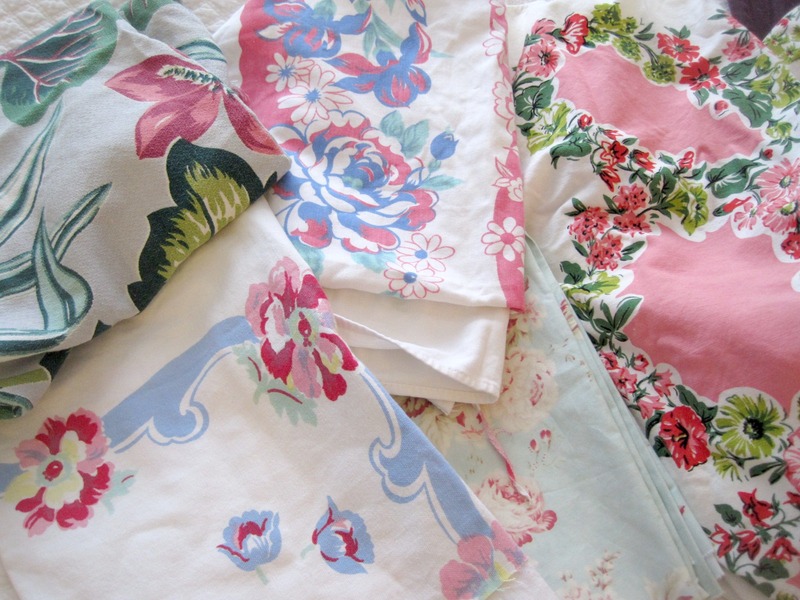 Once you have your fabrics chosen, cut out your fabric, felt and oilcloth. 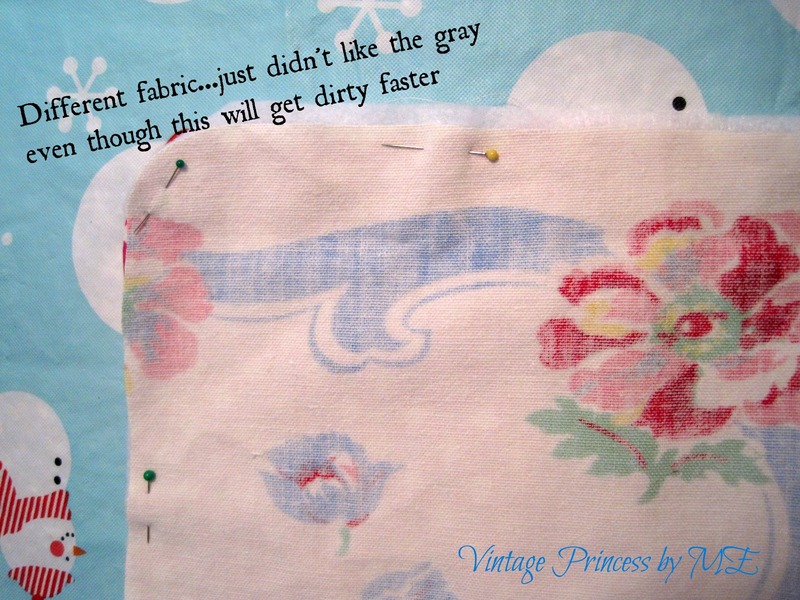 Pin the three layers together, so that the right sides of the fabric & oilcloth are facing each other and the felt is on the bottom. 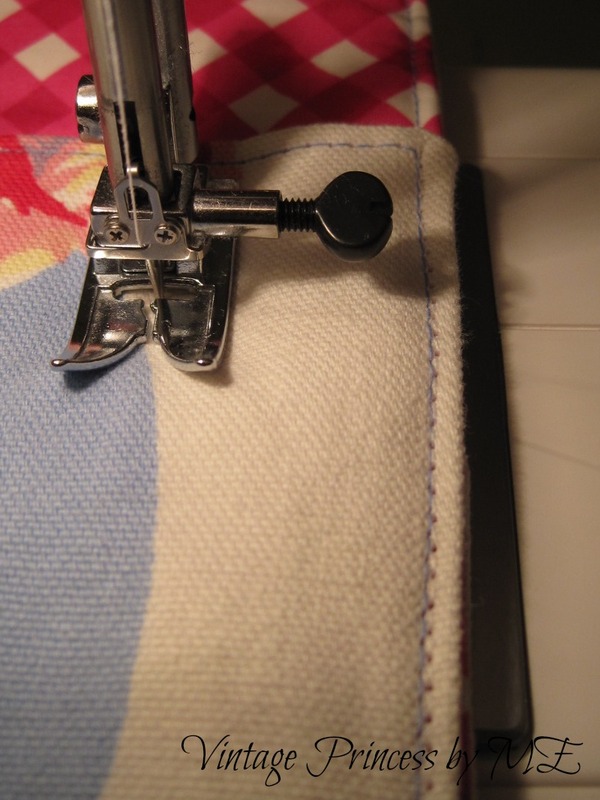 Stich all the way around (1/4 seam) leaving a 3″ opening on one of the long sides to turn right side out. 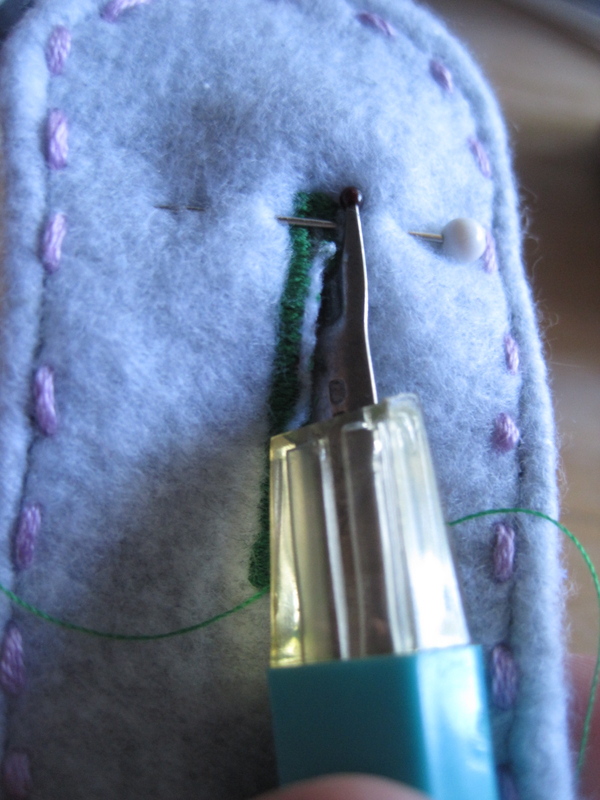 Before turning, clip the felt as close to the stitching line as possible. 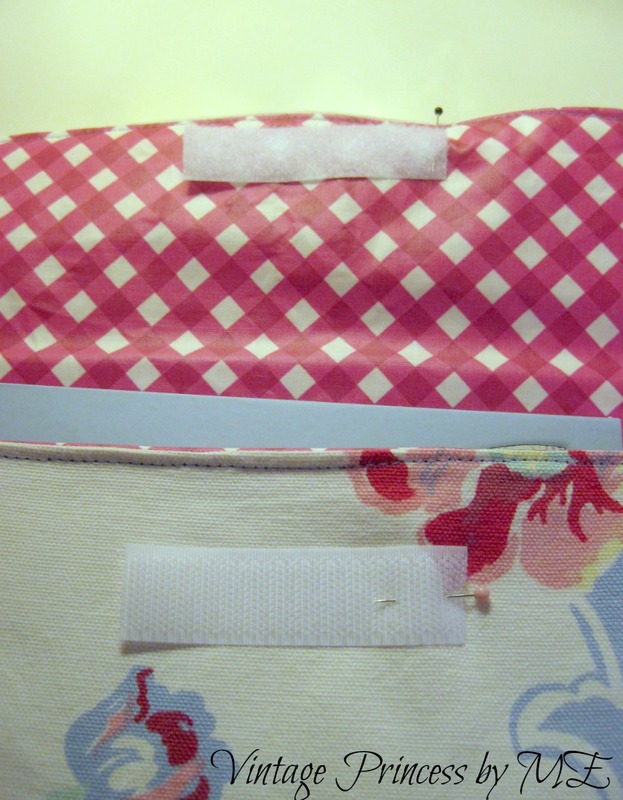 Turn your project right sides out, this can be a bit tricky with the oilcloth, but it will work, just be patient. Make sure to get the curves and corners turned as cleanly as possible. Lightly press if you are into that, not me with this project. Top stich all the way around (1/8″ in from edge). Lay your velcro into place, centered and pin into place. 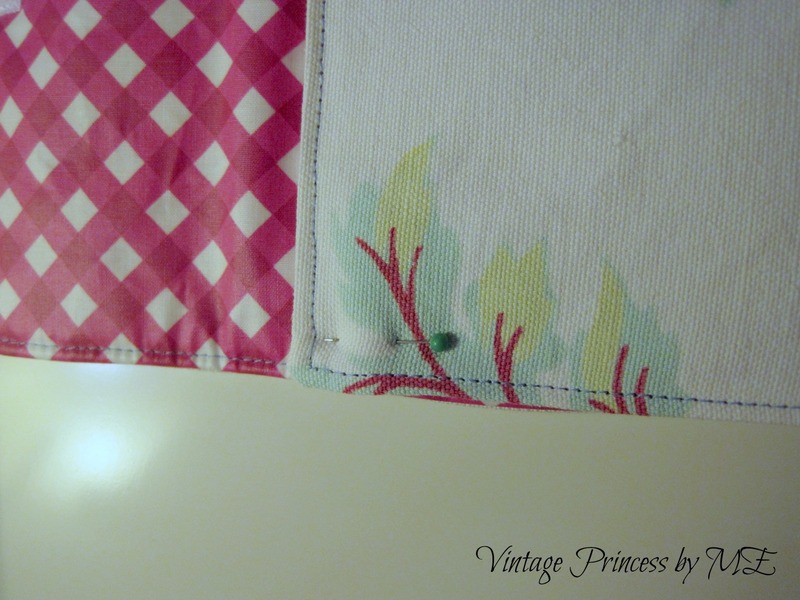 Remember one piece goes on the oilcloth side the other on the fabric side. 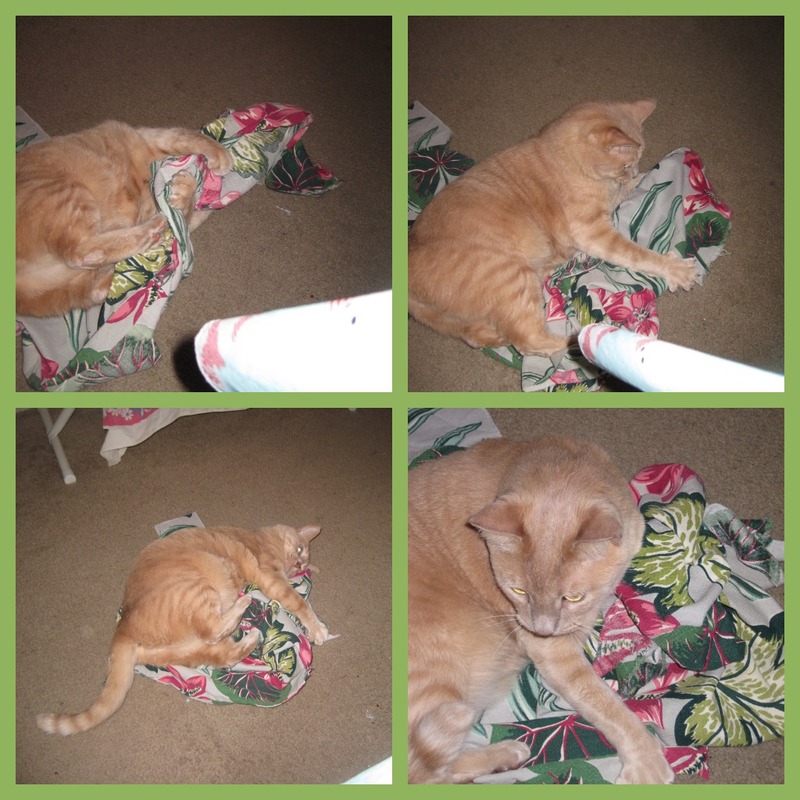 The piece that goes on the fabric is about 3/4″ down from edge. Stitch around velcro. Next fold the bottom of the piece up to create your pocket. The pocket will measure 5″ from the bottom. Pin and stich the sides closed as close to the top stitching as you can and make sure to back stich at the top and bottom. 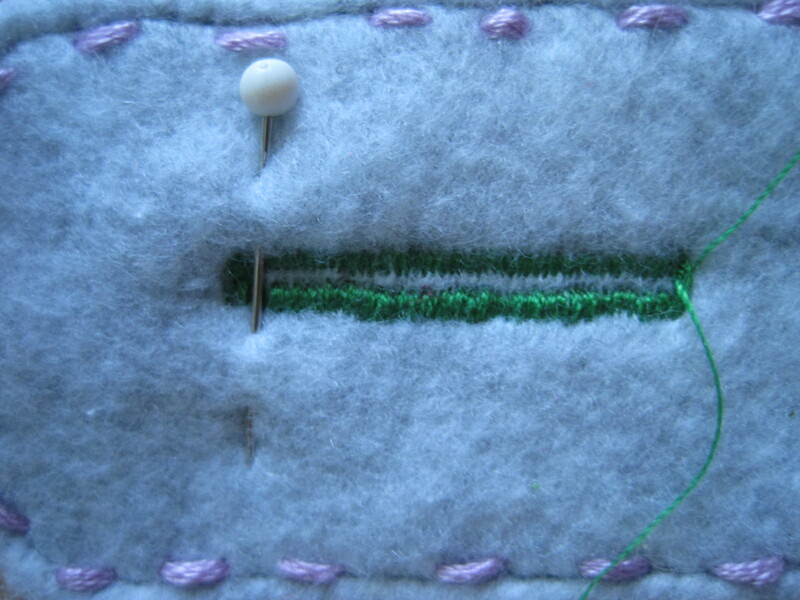 Lastly, stich your pen pocket, by sewing a line 1.25 inches from the right side, again back stitch at the top and bottom. The easy to do this (for me, there might be a better way) align a ruler with your needle and measure to the right 1.25 inches, place a mark on your machine. 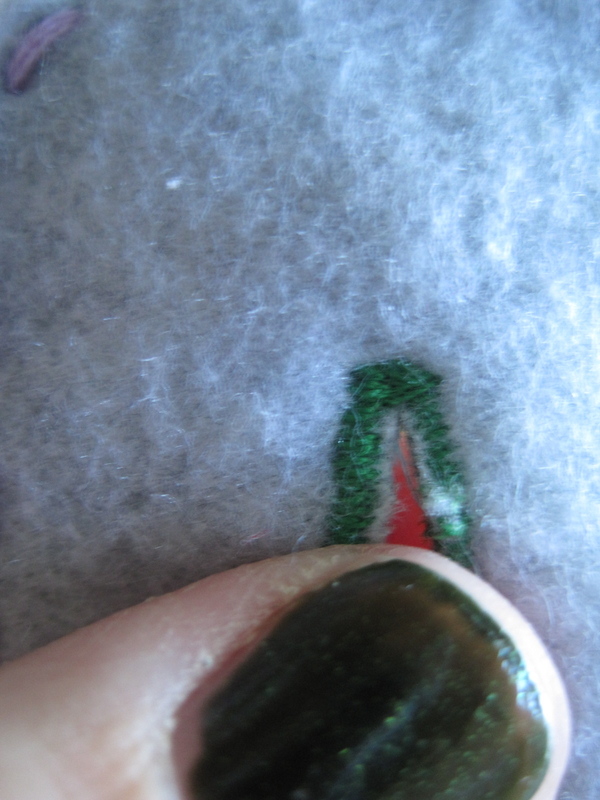 When you sew line up the edge of the fabric with this mark, you should have a perfectly straight line when you are done.